Watching the events unfold that day was the same for me as it was for millions of viewers worldwide. I sat in stunned silence with tears flowing, unbelieving at first, until reality set in. I prayed, with all my heart, for complete strangers–until now. 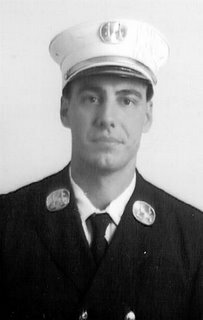 It is my privilege to introduce to you a remarkable young man–Captain Thomas J. Farino, Engine Company 26, of the New York Fire Department. 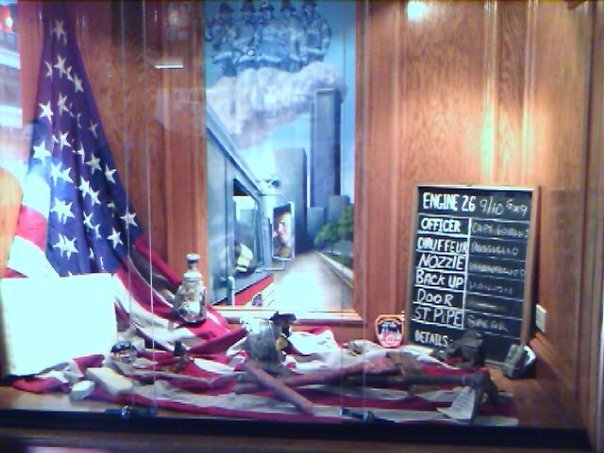 On September 11, 2001, 342 fire fighters rushed into the burning inferno that others were fleeing in an effort to escape, and they lost their lives that fateful day. Thomas Farino was one of them. His co-workers describe him as having been fearless, confident and in control. From what I’ve found about him, I believe he never took a thought for his own safety, and if he would have known what was going to happen that day, I don’t think he wouldn’t have hesitated for a second to continue trying to save the lives of others. Thomas was the youngest of six boys in his family. Following in the footsteps of his father and one of his brothers, he joined the NYPD and served for two years before becoming a firefighter. He was known for being self-assured and having a great sense of humor. His confidence inspired his co-workers, who felt safe when he was with them. His wife, Mary, describes him as a rock on which she built her life. For much of their 20 years together, he encouraged her to love him all she wanted, to want him all she wanted, but not to need him so much. He wanted her to derive her strength from someone higher than himself. After the attack, she realized how prophetic his words were to her. I love you more than forever. I am glad for two reasons. One reason is that I am happy God is making you happy. Also my second reason is that you died in a very honorable way and the world thinks and is thankful that you saved people, and you are a hero. To Mary, Jane, and James, I can truly say I am sorry for your loss, for the hurt and the pain. In this short time, with all I’ve come to know about this extraordinary man, I wish with all my heart I could have had the honor of knowing him. Thomas Farino, thank you for your dedication, your commitment and your inspiration. You are a true hero…you are my hero. Fate truly works in mysterious ways, I was browsing the internet and accidentally came across your site. As you can imagine I was shocked and truly honored by your wonderful tribute to my best friend, husband and father of my two children, Thomas J. Farino. Tom was a faithful, loving, extremely intelligent & giving person. Because of that he helped build a truly wonderful and strong foundation for our two children. Thank you Tom, for all the lives you have touched and continue to touch. And, thank you Mid, your kind tribute means more then you could imagine. Father, in the name of Jesus, Your Son, please take all who are hurting still these 9 years later and heal and comfort them. In light of all that is taking place concerning the area surrounding Ground Zero, I ask for wisdom and the strength to stand against acts of terrorism. May our cry echo that of the Israelis with the Holocaust a grim reminder, and who battle this insanity on a daily basis…Never Again! Next When God Speaks . . .